The 30 remaining players in today's $500 Six Handed are now on their one hour dinner break. 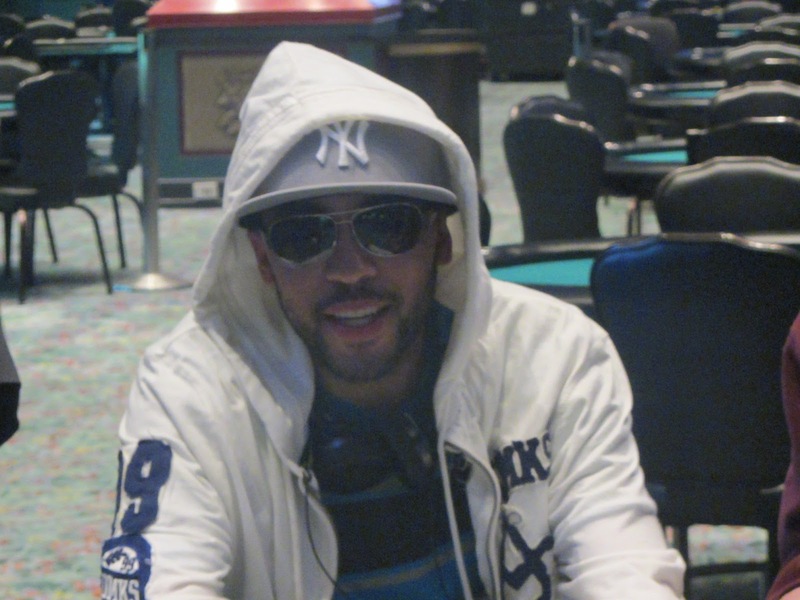 Play will resume at approximately 7:50pm EST, and we will be streaming a featured table at that time on www.FoxwoodsLive.com. 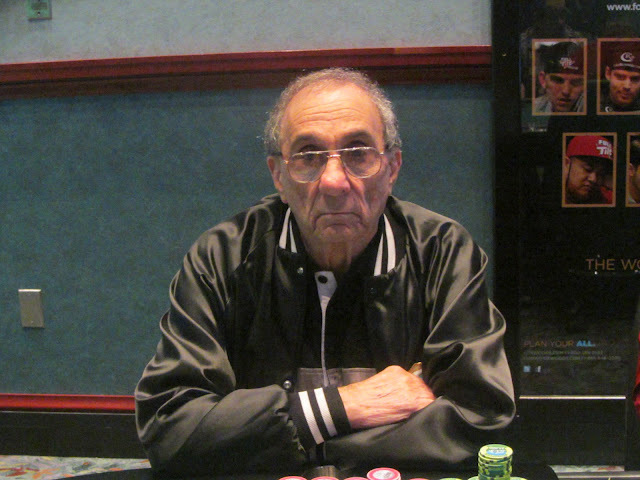 It was a limped pot between all three players, and action checked to Jack D'Agostino who bet on a J♦7♠9♠ flop. 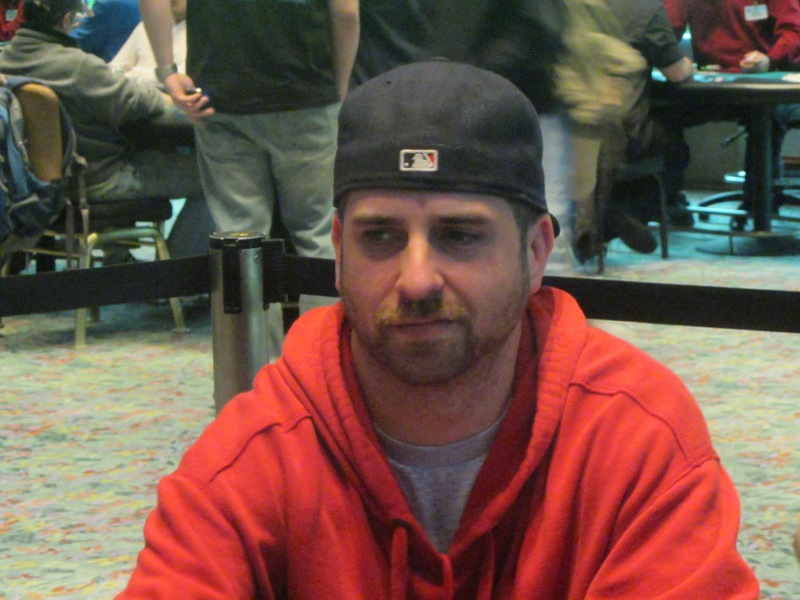 Daniel Pignatoro check raised all in, and Kevin McCormick also moved all in. Eventually Jack folded, and the other two revealed their cards: Daniel 9♥7♦ Kevin T♠8♦ Daniel had flopped two pair but was drawing to only four outs as Kevin had flopped the nuts. 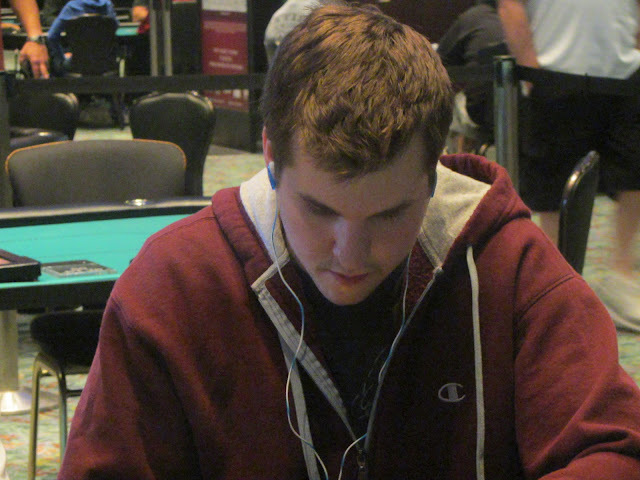 The turn and river fell 4♣6♣, and Daniel was eliminated in 3rd place, good for a $16,616 payday. Now that the $300 Mega Stack has reached its winner, we will be moving a featured table of the $500 Six Handed to the live stream after their dinner break. The field will take their one hour dinner break at approximately 6:45pm EST, so expect us to be broadcasting live at approximately 7:45pm EST. Tune in to www.FoxwoodsLive.com at that time. Only 44 players remain in today's field, and they are currently playing 800/1,600 blinds with a 200 ante. 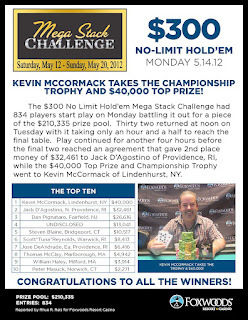 After getting heads up, Kevin McCormick and Jack D'Agostino agreed on a chop of the remaining prize pool. Originally the payouts were $45,117 and $27,344, but the two decided to make the payouts $40,000 and $32,461. Kevin will collect the title and the trophy along with his $40,000. Daniel had flopped two pair but was drawing to only four outs as Kevin had flopped the nuts. 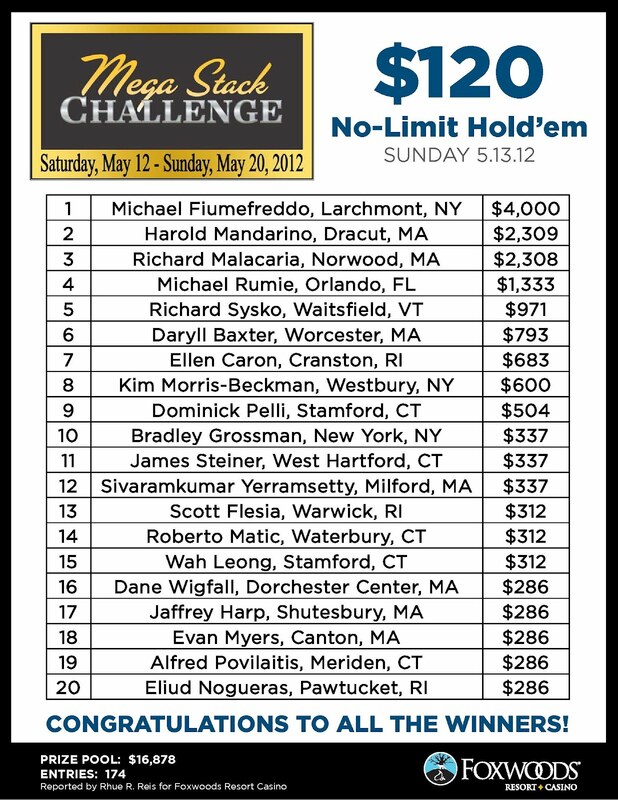 The turn and river fell [4c][6c], and Daniel was eliminated in 3rd place, good for a $16,616 payday. While the $300 Mega Stack plays 3-handed, the $500 Six Handed tournament is now down to 52 players and are currently playing 600/1,200 blinds with a 200 ante. The top 18 players will be in the money. Steven Blaine has been eliminated in 5th place when his A♠7♦ failed to beat Jack D'Agostino's A♣Q♣. Jack flopped top pair on the Q♦T♦6♣ flop and it held up through the K♠ turn and 8♣ river. Steven will earn $10,517 for his efforts. Alexander Haran was all in preflop holding the [Js][Jd] but was coolered by Daniel Pignataro's [Ks][Kh]. The 18% underdog did not come through when the board ran out [6h][Tc][2d][Td][7h]. Alexander will earn $13,041 for his 4th place finish. 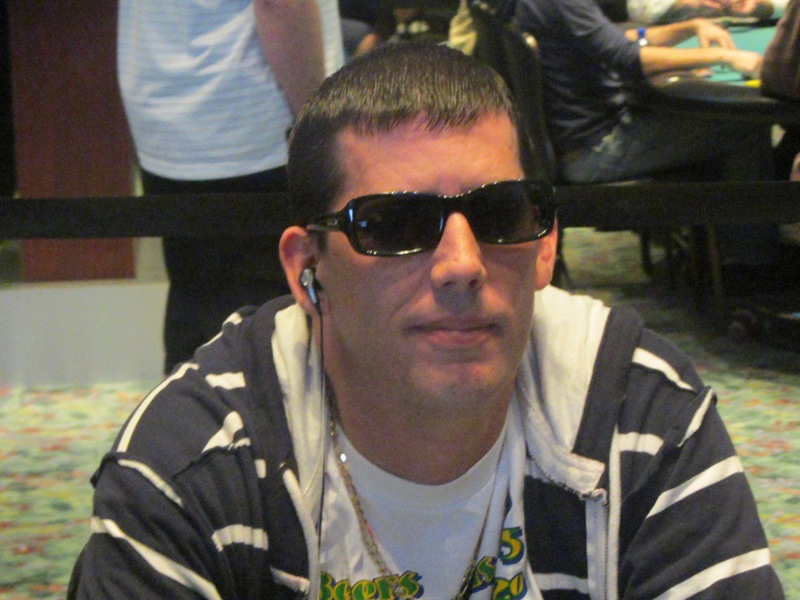 Steven Blaine has been eliminated in 5th place when his [As][7d] failed to beat Jack D'Agostino's [Ac][Qc]. Jack flopped top pair on the [Qd][Td][6c] flop and it held up through the [Ks] turn and [8c] river. Steven will earn $10,517 for his efforts. Scott Reynolds pushed all in from the small blind at 40,000/80,000 for around 500k holding the [Kc][9h]. 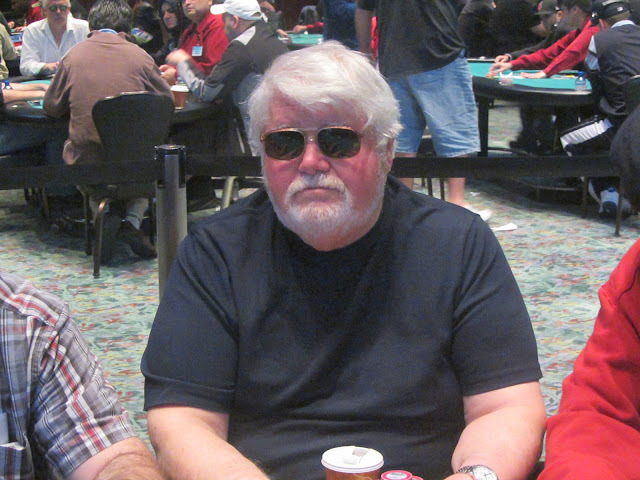 Kevin McCormick in the big blind elected to call with [Qd][Jd] as he had around 2.4 million in chips. 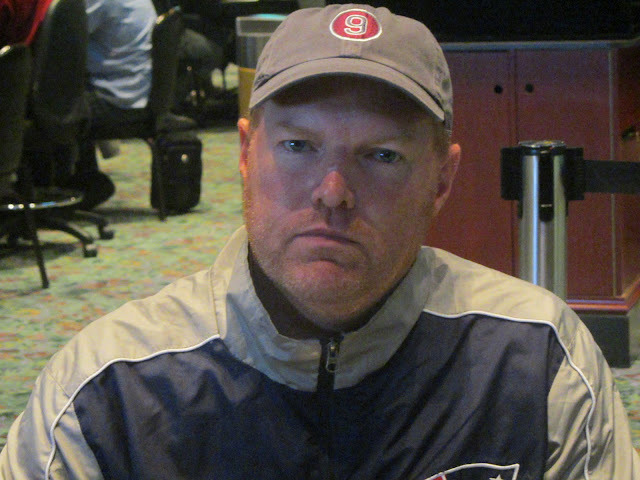 The flop was unfavorable to Scott when it fell [7d][Qs][9s], and the [8c] turn and [Ac] river changed nothing, sending Scott to the rail in 6th place, good for $8,413. Joe DeAndrade was all in preflop holding the [Ah][2h] against the [5d][5c] of the Alexander Haran. Alexander claimed another elimination when the board ran out [8h][Qs][7d][2s][8s]. 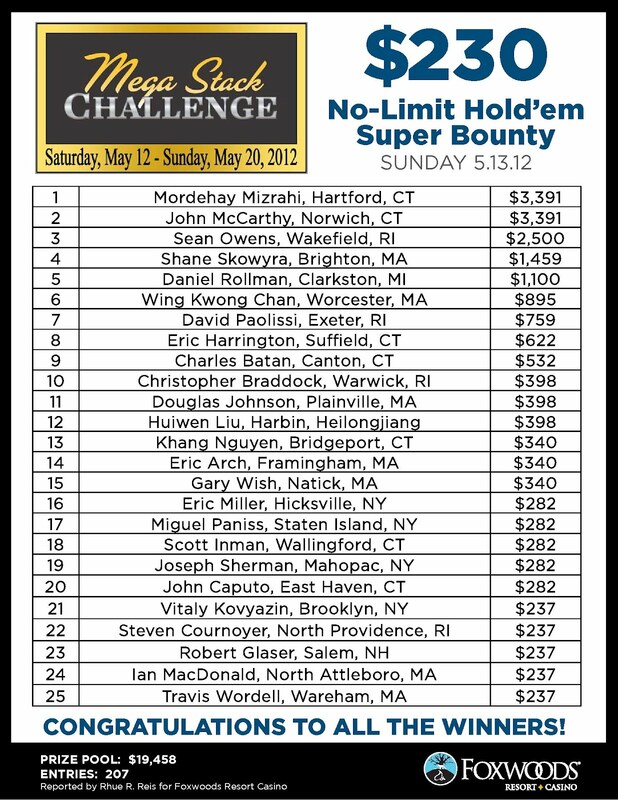 Joe will earn $6,416 for his 7th place finish. 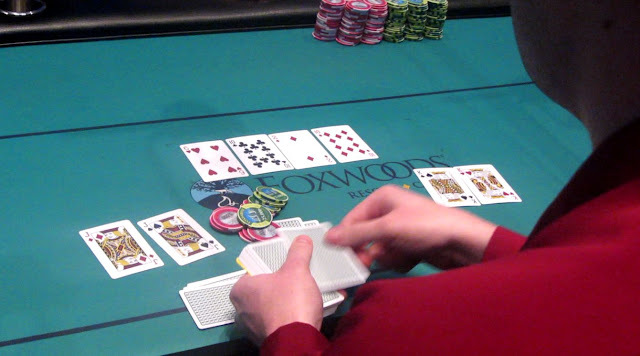 Thomas McClay was all in preflop holding the T♥9♦ against the A♦K♦ of Alexander Haran. Thomas was live all the way to the river, but was unable to pair his hole cards when the board fell 3♥4♥J♦2♦8♠. Thomas will earn $4,942 for his 8th place finish. Thomas McClay was all in preflop holding the [Th][9d] against the [Ad][Kd] of Alexander Haran. Thomas was live all the way to the river, but was unable to pair his hole cards when the board fell [3h][4h][Jd][2d][8s]. Thomas will earn $4,942 for his 8th place finish. 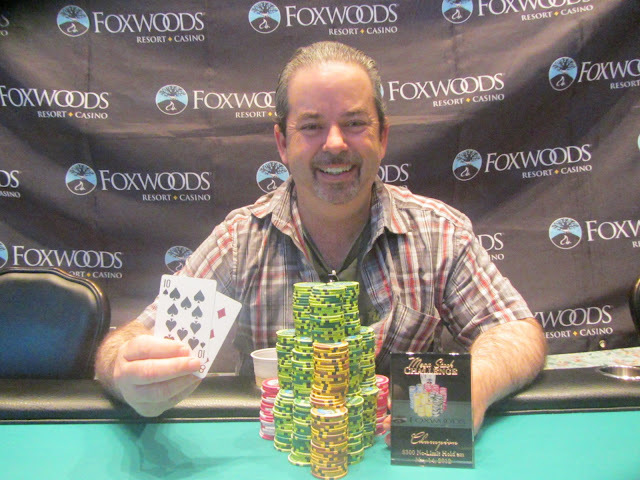 William Haley was all in on a K-X-X with two diamond flop holding the [Ad][5d] against the K-J of Kevin McCormick. William was looking for a diamond or an ace to save his tournament life, but Kevin's pair of kings held up to eliminate William in 9th place. He will earn $3,914 for his efforts. The final 9 players are now on break. When they return, they will be playing 30,000/60,000 blinds with a 10,000 ante. On one of the last hands before break, Alexander Haran was all in with Q-T against Jack D'Agostino's A-K. Alexander was in trouble as the flop fell Q-J-T as Jack had flopped the nuts. But the river was a ten to give Alexander a full house and the double up. Peter Masuck has been eliminated when his pocket sevens failed to outrace his opponent's A-Q. Peter will collect $2,271 for his 10th place finish. $300 Mega Stack Final Table Reached! The players in today's $500 Six Handed are now on their first break of the day. The board currently shows 154 players registered, and late registration is still open. Final prize pool and payouts will be posted shortly. 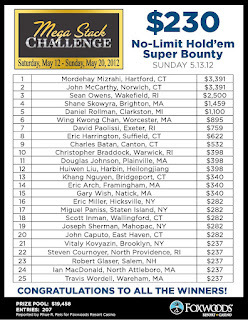 The 22 remaining players are now on break while the tournament staff colors up and races off the 100 chips. The field will be playing 15,000/30,000 with a 5,000 ante when they return. The 32 remaining players in yesterday's $300 Mega Stack have returned, and play has begun for the day. The field is playing 12,000/24,000 blinds with a 4,000 ante, and will play down to an eventual winner. Everyone is currently guaranteed $904, with first place taking home a $45,117 payday. You can watch our featured streaming table at www.FoxwoodsLive.com. Cards are in the air for today's $500 Six Handed. This is a new tournament in the Mega Stack Series, so come down to try a change from the normal 10 handed tables. Yesterday's $300 Mega Stack will resume at 12pm EST, and we will be streaming a featured table at www.FoxwoodsLive.com at that time. At the completion of the last level, the tournament staff has paused the clock and is distributing bags as play is finished for the night. 36 players remain, and they will return at 12pm EST tomorrow to play down to an eventual winner. When they return, they'll be playing 15,000/30,000 blinds with a 5,000 ante. Chip counts and seating assignments for tomorrow will be posted shortly. Don't forget tomorrow is a brand new $500 Six Handed Mega Stack event at 11am.